This was a pretty cool video, I guess. It just have several stand up comedians just dancing and singing along, that’s it. To be honest, I don’t know who most of these comedians are. 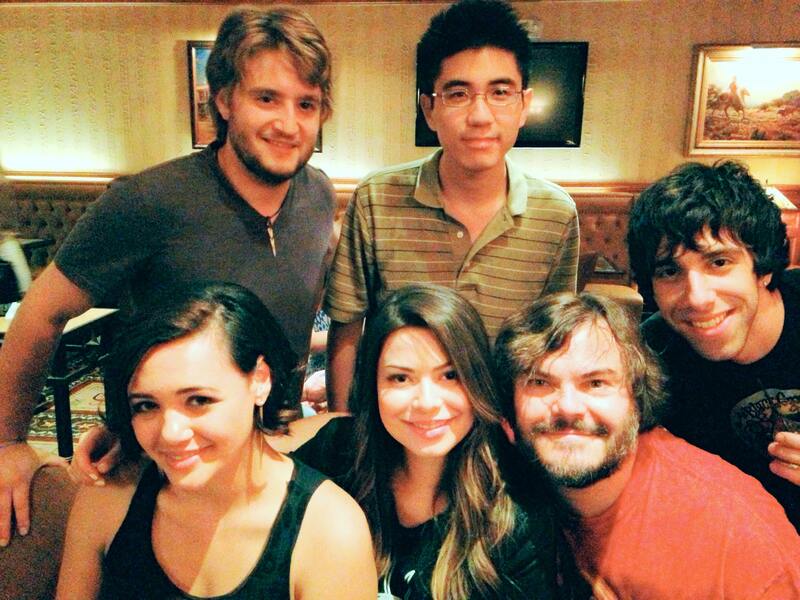 The only one I know of is Jack Black, of course but I don’t know who the rest of them are. I have noticed one thing though that is pretty inappropriate for a Weird Al video. The black lady (Aisha Tyler???) in the video who grabbed her breasts and playing with them. Doesn’t seem like a Weird Al thing to me. Most of Weird Al’s material is supposed to be family friendly and I have never seen anything dirty or sexual in Weird Al’s videos over the years. Really weird. I hope Al Yankovic will be careful with this video ’cause some might be offended and controversy might start. I like Weird Al’s take on the song… I expected the video to be better than that. I’m glad Jack Black and Weird Al finally teamed up together, though… that was long overdue. Activision has sued, Double Fine Productions, a video game developer in Santa Montica, California, claiming they transferred the rights that were owned by Activision. An action adventure video game titled, “Brutal Legend” which the main character is voiced by hollywood actor and comedian, Jack Black, was planning to get released this year. Black plays a character in the game as a heavy metal roadie in a mythical world to fight against evil. 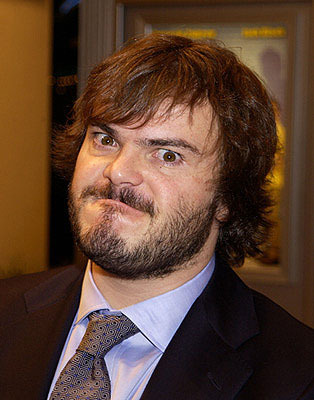 Funny man Jack Black has landed himself a huge role. Yes HUGE! Jack has signed on to star as the giant in the famous novel by Jonathan Swift “Gulliver’s Travels”. Rob Letterman will be directing and will be released through Twentieth Century Fox. “Gulliver’s Travels” is a historic famous novel which is a story about Lemuel Gulliver who is a traveller and a writer who goes on a trip to the Bermuda Triangle. While travelling on a ship, he suddenly finds himself on the shore of an island of Lilliput and discovers that the island is full of tiny people and he’s the giant. The classic novel was written and published way back in 1726. There is also a TV mini series version of “Gulliver’s Travels” that starred Ted Danson as Gulliver. Expect this to be a box office hit. Hope they don’t screw this film up. Report: “Kung Fu Panda” greenlights sequel in 3-D with Jack Black and Angelina Jolie returning!!! Dreamworks Animation has greenlighted a sequel to the animated film “Kung Fu Panda” but the sequel will be made in 3-D. Jack Black and Angelina Jolie has signed on to reprise their roles from the first film. The sequel will be directed by Jennifer Yuh Nelson. No word if legendary actor Dustin Hoffman will return. The sequel already has a release date confirmed for June 3rd, 2011. 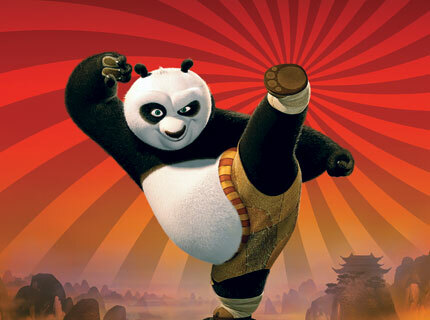 I haven’t even seen the first “Kung Fu Panda” yet, but I will see it when it arrives on DVD. It looks funny and entertaining. Jack Black will reunite with his “Kung Fu Panda” writers Jonathan Aibel and Glenn Berger for an untitled live action comedy with Universal pictures. The film is described as a Jason Bourne parody spoofing off the movies starring Matt Damon. The plot will be about Jack’s character finding himself washed up the shores of Cuba, then he couldn’t remeber who he is and how he got there. He comes to the conclusion that he is a superspy, though in reality he is far from one. Jack Black’s next movie he will star in is “Year One” directed by Harold Ramis. This “Bourne” parody sounds like it’s going to be a LOL riot throughout the whole thing. So I went to the mall today and finally got around to seeing the movie “Tropic Thunder” directed by Ben Stiller who also stars the leading role himself. The movie is basically about three men Tugg Speedman (Stiller), Kirk Lazarus (Downey Jr.) and Jeff Portnoy (Black) are making a high budget war movie, things in the film they were making were going so good until freak accidents happen during the making of the film. The three film makers are attacked and Speedman have been kidnapped by their enemies called The Flaming Dragon gang which is a gang that makes heroine drugs. Jack Black’s character Jeff Portnoy is a heroine addict and all he thinks about is doing heroine, he was half scared and half excited going to the Dragons village where they make heroine ’cause he couldn’t wait to get his hands on some. Their film making ways get turned into real life and the actors are forced to portray their characters in real life instead of film in order to get out of the jungle to survive from the evil Dragon gang. My thoughts on the film? It is one of the most funniest comedies in a long time, it was outrageous. I think it’s Ben Stiller’s best flick by far. He did a great job with this one. Most of Ben Stiller’s directed movies haven’t been all that great but “Tropic Thunder” is actually a really good one. Very good imagination and very good storytelling, pretty original I must say. I know I said I hate Tom Cruise, but his character was actually really good in this. Tom Cruise plays a character name Lee Grossman which he is bald and fat, wears glasses, and has a beard and mustache in this one. Tom Cruise uses a lot of profanity and nasty talk in this character. Most people calls Tom Cruise’s role in this film a cameo, but it’s actually more than a cameo. Cruise is pretty much throughout the entire film, he’s pretty much a co-star, not a cameo. Of course, Stiller is always having surprise cameos in his flicks, this one had Tobey Maguire, Jon Voight, Lance Bass, Jennifer Love Hewitt, Tyra Banks and more. This film is extremely entertaining. Great job Ben!! !